Normally, ants will forage for food during the warmer, and later slow down and disappear completely during the cold months. Ants behave like this because they are cold-blooded creatures. An ant’s body temperature is like that of air, liquid and the soil around it. If the weather in the ant’s location gets too cold, the ant will die. Therefore, during the months of winter, ants seal up their nests and wait for the weather to warm up. A process called diapause. If you have spotted ants in your basement during winter, chances are, you have an ant nest in your basement. Ants never establish themselves around human-made structures. They like their nests build underground. Therefore, unless your house has an incomplete basement of a crawl space, ants are not going to be an issue for you during the winter season. Not all ants will infest your home, but three notorious species-area nuisance to homeowners. They spread bacteria and damage your structures. It is because of this that you need a professional pest control expert to help you identify the species of ants before you take action. Bacteria are spreading ants. They will climb in your trash, kitchen surfaces, and food packaging. Having these insects in your home in winter is dangerous since they will cause an ongoing stomach illness for everyone in your household. Nuisance ants. As the name suggests, they are a nuisance. They are known to invade common areas taking advantage of any food sources available. When they do, they become a problem simply by existence. Property damaging ants. They chew through wood creating galleries and tunnels. Carpenter ants can cause significant damage to wood if left untreated. It’s a good idea to get rid of them the instant you spot them. Why are ants in my basement? Ans will invade your basement looking for better living conditions, shelter, food, favourable temperatures, moisture, and a permanent residence. During winter, ant activity within your home will reduce, even if the nest is in your basement. But the moment you spot them in your home during winter, it’s a clear indication that you have an ant colony in your home. If you spot them in your basement, they could be located somewhere in an inner wall, the foundation or the basement slab. Ants will not invade your basement to hide from winter alone. Ants just like humans are omnivorous, and they might be attracted to the interior of your home by edibles and good energy sources. 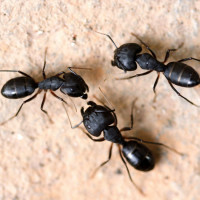 While numerous species have the capability of invading your basement during winter, the more likely species to move into your home are the carpenter ants, acrobat ants, crazy ants, pharaoh ants, white-footed ants, and the rover ants. Avoid leaving pet food on the floor or surfaces unless it is meal time. Check your basement for leakages and damp wood and have them repaired, carpenter ants thrive in moist rotted wood. Cleaning up your basement can help prevent or eliminate ants. It’s important to note that winter ants are a difficult lot to deal with. 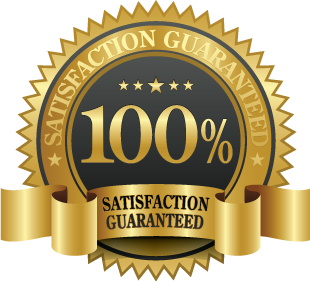 Hiring a professional ant removal expert can help identify the sources of problems, locate the ants and eliminate all the indoor satellite nests in your basement. An ant control Toronto expert also has the right skill and experience to look for gaps to seal.